Open Pharmaceutical Sciences Journal is an open access journal which publishes research articles, reviews, case studies, guest edited thematic issues and short communications/letters in all fields of pharmaceutical sciences. 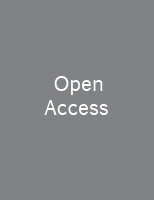 The journal aims to cover all the related aspects of the topic in most effective way focusing not only at basic pharmaceutical sciences but its sub-disciplines including pharmacology, pharmacodynamics, pharmacokinetics, pharmaceutical toxicology, pharmacogenomics, pharmaceutics, pharmacognosy, drug delivery, drug targeting, drug discovery, drug resistance, and drug metabolism. Open Pharmaceutical Sciences Journal, a peer-reviewed journal, is an important and reliable source of current information on developments in the field. The emphasis will be on publishing quality papers rapidly and freely available to researchers worldwide.